If birthdays are a time to celebrate the fact that someone was born and became part of your existence (or the reason for your existence), then, today, I celebrate my mom. She would have been 83 years old! But, since birthdays are mostly a time to celebrate turning a year older or, perhaps, reaching a milestone, then I can just feel crushed. 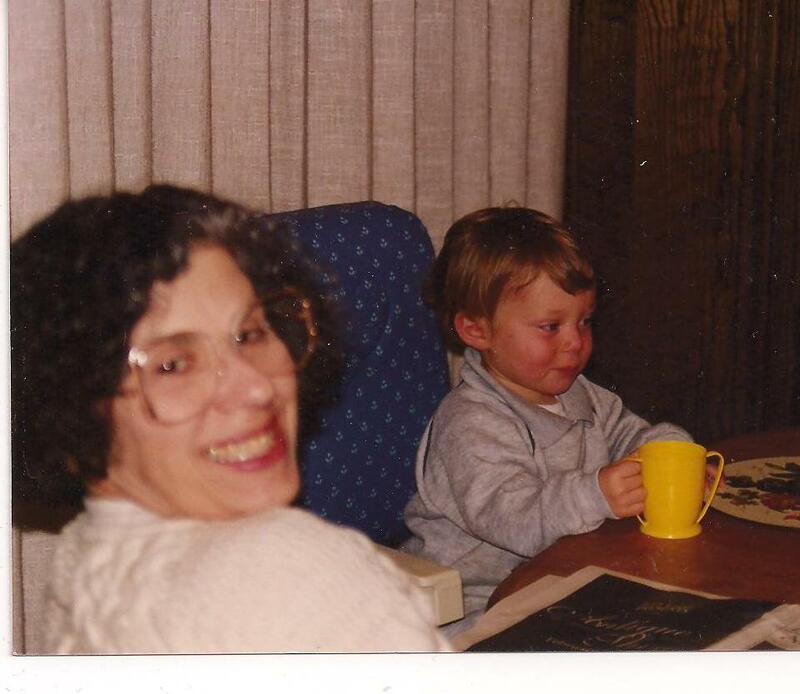 No matter how hard I try to remain upbeat and no matter how easy it is to feel my mom’s presence even now, I cannot help but be angry that she/we were robbed of the last 20.5 years of togetherness. 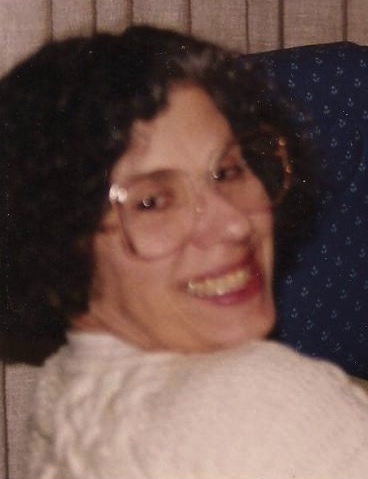 That being said, I must go on with a thought/question I’ve had for a while: If my mom were alive, would she have a Facebook page? For some, this might seem like a very trivial issue and perhaps even completely not worthy of contemplation. However, I am curious. I first thought about this years ago when an alumnus of the high school where I work stopped into the library to look at old yearbooks. She had been a widow for a few years and started her first Facebook page to get back in touch with people. Whether or not she had hoped to connect with eligible men (I did not inquire), they started popping up. And, she did not recognize the men with whom she had graduated 40 years earlier. She had lost her yearbook in a fire and wanted to check out their names and graduation photos before “friending” them. How smart- and safe! I enjoyed my chat with her and learning about her current quest. And, it was fun to see her reaction to finding the names and photos – “Oh, that’s him…still cute. Oooh- I do remember him… Hmmm, I still don’t know who he is.” For a while after this interesting visit, I wondered who she decided to friend and if she made any platonic or romantic connections. I hope her research yielded happy results. Back to Phyllis Tabak Danzig’s potential profile and posts and why I think she would have, at the very least, given Facebook a try. First, we were a big CB Radio family. Do you remember those things? 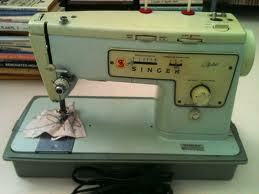 My dad was a technology tinkerer. CB Radios brought him back to his morse code army days and connected him to like-minded people. Our family took many road trips for vacations and my mother’s antique business. CB Radio jargon and chatter gave them something fun to do and even my sister and I got caught up in the craze. My sister and I can recall our “handles”- she was Sunflower and I was Buttercup. I know, how cute. My dad, with his full head of thick brown hair, took on one of his favorite American symbols: The Bald Eagle. Strangely, neither my sister nor I can recall my mom’s handle. Whether in the car or our home’s office, the CB Radio was an absolute obsession for my parents during the mid/late 1970s. Also, like my father, my mother learned to navigate a computer and the early Internet way before they were easy to use. The technology might have intrigued her and certainly would not have stumped her. So, if I am right, my mom’s profile would include Tabak, her maiden name. I am not sure about the photo- she was camera-shy. And, her birthday might be listed, but not the year, for sure. As an antiques dealer, she would want to “advertise” her vocation/hobby. She certainly would “like” The Red Bank Antiques Center page and probably post photos of her booth and inventory. She would be part of a few groups, mostly antiques related, but perhaps also exercise since she had become a Pilates devotee. We certainly would have friended each other. She would not Like with abandon. She was too honest and even critical for that. And, I, as her daughter and Facebook friend, would appreciate her choosiness. At the very least, even if she would not have become a Facebook fan, my page would be littered with photos of her and us during our shared adult years. Of course, all of this is not realistic and is relevant only if…. I am not usually an “only if” person, but this day brings out that wonder and longing for what could have been. As postscript, I am curious if you are of my mom’s generation, do you have a Facebook page? If you’re closer to my generation, does your mom have a Facebook page? And, how is that going for you or her? I’m back from a short blog hiatus. I’ve had a busy few weeks as my daughter, Sandra, debated her college choice, but I am excited to write after being inspired by this morning’s activity. Sandra and I participated, for the 6th time, in the Thomas G. Labrecque Run as One . This is always a very special and emotional day for us and is even more so this year since it is the last time we will participate together for at least the next four years since she will be at her chosen school! We ran our first Run as One in 2006 after our friend and neighbor died from lung cancer 32 days after being diagnosed. Felice Jentis, a non-smoker and one of the warmest and most gregarious women we’ve known, was only 39 years old. To help her and her family during her illness, her friends created Team Felice. After her death a foundation, was started to help fund research and each year Team Felice raises money and awareness while running and walking with the Thomas G. Labrecque Foundation. When Felice died, Sandra was 12 years old and was preparing for her Bat Mitzvah. Struggling with a desire to do something commemorative, she decided to base her Mitzvah Project (a service-oriented project intended to make a difference in the world) on lung cancer. After all, my mom died from the same type of lung cancer when my daughter was only 4 months old and she had always felt gypped and sad. This was her chance to do something about it. She created and sold bracelets and donated the money to the Felice Lipit Jentis Memorial BAC Research Trust . And, we ran, together. Each year, we meet Team Felice in Central Park and after hellos and hugs, we run. The gathering gives us all an opportunity to remember Felice and talk about her. Then my daughter and I go to the whiteboard that the Thomas G. Labrecque Foundation sets up for people to write messages. We write notes to my mom. Today, I wrote, “I’ll always miss and love you mom” and I include her name. Sandra added, “I wish I could have known you.” Today we looked for a special color and chose a fuscia sharpie marker. It matched the bright sunny sky and strong feelings we experienced. I love this day. We struggle with the sadness and grief, but find energy and hope through today’s event. We said our goodbyes to Felice’s family and friends today with the usual, “See you next year.” Then, we left Central Park with the bittersweet feeling that, although we cannot share this day while Sandra is away at college, whether together or not, we can always run as one. Michael Bloomberg Doesn’t Go Home Much Anymore, Do You? As I read a recent New York Times article, Mayor’s Ties to Hometown Fade, But for a Few, They are Still Felt, I wondered why this observation is newsworthy. After all, I thought, I have visited my hometown only a few times after my mom’s death. Why is it so unusual to stop visiting your hometown after it is void of your immediate family? Unlike some people who are disappointed that Bloomberg does not visit his hometown, Medford, Massachusetts anymore and unlike others who (in comments entered after the article was published) do not care if Bloomberg visits any town, I thought his devotion to his mom and donations to the town are admirable. In a 2009 biography, Bloomberg admitted to not liking his hometown. He found it boring and uninspiring. Yet, he did visit his mother who remained in town, living in the same house he grew up in until her death last year. When approached to donate to the Medford Arts Council, Bloomberg gave $25,000. He has given even more to the public schools, a local orchestra, a hospital and a sports complex. He has even donated over one million dollars to the town’s synagogue. He did not stop there. He started a fund for the town’s public library. Due to his suggestions, Medford residents and New York City corporations have given generously to the library, certainly a project that wins my approval. So, after reading about Bloomberg’s continued dedication, albeit financial, to his hometown, I was impressed. He has very strong, perhaps eternal, ties to Medford. Unlike Bloomberg, I have very fond memories of my hometown. 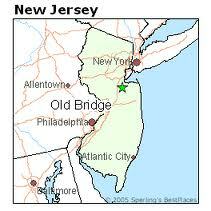 Like Bloomberg, after my mom left Old Bridge, my ties to Old Bridge quickly faded. In fact, I have gone back only a few times, most recently when I found out about a neighborhood reunion at our pool club. Unlike Bloomberg, people who still live in Old Bridge did not pine for my connection and I certainly would not have expected them to. It was great to see both the people who still live in Lakeridge West and those who returned for the reunion. Since I still live in New Jersey and, even more relevant, since I work in a school district only 20 minutes from Old Bridge, I do find out about what’s going on there. I have driven through the town a few times and I always love to look around and see what has changed. I might not have reason to return to Old Bridge again and that’s really okay. All of this makes me wonder, what ties, if any, do you have to your hometown? Do you keep up with news about the town? If you no longer have family in your hometown, do you still visit? Grynbaum, Michael. “Mayor’s Ties to Hometown Fade, But for a Few, They Are Still Felt.” New York Times. 03 19 12, A14. Print. Although I recall things my mom said to me and conversations we had, I miss her voice. I had not put much thought into hearing her voice until recently. During a visit with my (very wonderful) cousin, he mentioned watching his wedding video so we could hear my mom talk (and relive that most precious day). We did not get around to watching the video, yet his thoughtful and thought-provoking comment resonated with me. I’ve heard stories about terminally ill people who make videos and tape recordings to leave for family and friends. Perhaps because I’ve always thought the idea is sweet, but eery or because I was too caught up in the tragedy surrounding us, I did not even think about recording my mom’s voice when we knew her situation was terminal. Yet, now that I am thinking so much about my mom’s voice, I realize how clever it is. I could choose to listen to my mom and she would speak directly to me. It would never replace our daily phone call, but would certainly fill part of the void. Just as important, my children would hear her. While my mom’s mother, Grandma Ray, was alive, we made a point of asking her to tell her history. She lived into her 90s and certainly had substantial stories of life in Poland, her pious father, emigration to the US via Cuba, raising a family in Harlem, The Bronx, etc. It made sense to record her –her stories could add important personal reflection to a course in world history! I fondly recall my Grandma’s wise sayings, many taken from reading the Bible and Torah: “Who is rich? A person satisfied with what he has.” In Yiddish, “Besser be gornit (better than nothing).” I now think about the impact any saying or story would have if heard in her voice. Although my mom’s history couldn’t measure up to her mom’s (thankfully), she certainly had plenty to say! I am going to satisfy this newly discovered desire to hear my mom’s voice by watching and listening to my own wedding video. But, as I think about this, I must stand on the clichéd soapbox to encourage you, if it’s not too late, to record your mom’s (or dad’s or any significant older/ ill friend or relative) voice. Keep filming events and saving the film. Use your phone or computer to record a conversation. Tell your mom (or other person). 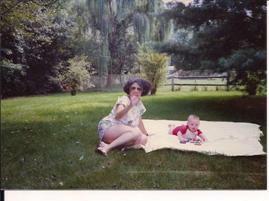 I am not sure how my mom would have reacted, but I think she might have appreciated the idea of being heard eternally. Is Your Mom Your Guru? While my blog’s focus is mother/daughter relationships, I must divert temporarily. I recently read and connected with Anderson Cooper’s contribution to the “Blessings” column in the September 2011 issue of Good Housekeeping (http://www.allthingsandersoncooper.com/2011/08/odds-ends.html). Cooper’s mom, Gloria Vanderbilt, has had an effect on many people. And, it is obvious that she will continue to affect her son, whether or not she is alive. Her impact is awesome and inspirational. Cooper helps us think about what makes our moms special. He makes his relationship with this extraordinary woman something to which we can relate. And, it is the type of relationship I aspire to have with my own children. My mom was a guru of many things, but most importantly and just like Anderson Cooper’s mom, she continues to be my spiritual guide. In what way is your mother your guru? During the last 2 weeks, I have had the great fortune of spending time with family and most intensely with my almost 6 and almost 7 year old nieces from Montana. They stayed with us while their mom and dad worked. I couldn’t be more impressed with these little ladies. As sad as we are to see them go back home, I was excited to get to this post and write about what a truly wonderful job my sister-in-law is doing as a motherless mom. Her mother, who would have been (I can only assume based on knowing her for a few years) a wonderful mother-in-law, would be SO proud. Her mom died when she was just 16. She was a huge presence in the family’s life: orchestrating celebrations, gatherings, travel. While the family does not dwell on the sadness, she has been sorely missed; largely for her warmth, generosity and style. I could go on…. I am just thrilled to see her daughter thrive as a mother, loving her life with her daughters and husband. And, her daughters are the fun, spirited, respectful, gracious and stylish girls their grandmother would relish. It’s a great tribute to her that a few of us have remarked about her grandaughters’ genetic link to her personality. I often say (and people easily agree), that my daughter’s great sense of style comes directly from her paternal grandma! But, it’s not all nature. I firmly believe that nurture plays a key role. It is obvious in my sister-in-law’s certain je ne sais quoi that she received more than enough of both. What genetic links, even subtle personality traits, do you see in your children? What parenting techniques do you think you’ve inherited from your mom? Doesn’t all of that help keep our moms in our lives?